It was just a godforsaken mountainside, but no place on earth was richer in silver. For a bustling, enterprising America, this was the great bonanza. 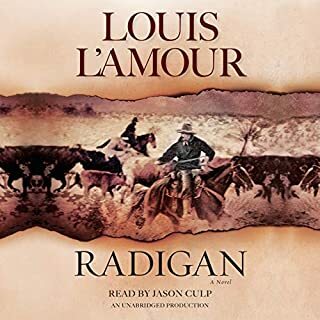 The dreamers, the restless, the builders, the vultures - they were lured by the glittering promise of instant riches and survived the brutal hardships of a mining camp to raise a legendary boom town. But some sought more than wealth. 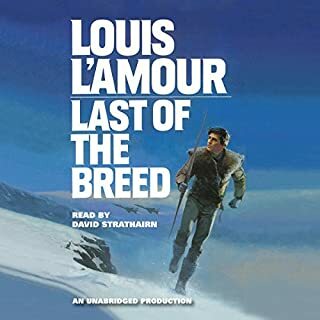 There was Val Trevallion, a loner haunted by a violent past, and Grita Redaway, a radiantly beautiful actress driven by an unfulfilled need. Two fiercely independent spirits, together they rose above the challenges of the Comstock to stake a bold claim on the future. 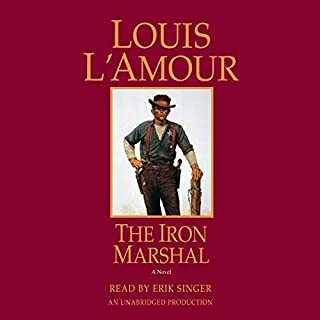 Where does Comstock Lode rank among all the audiobooks you’ve listened to so far? 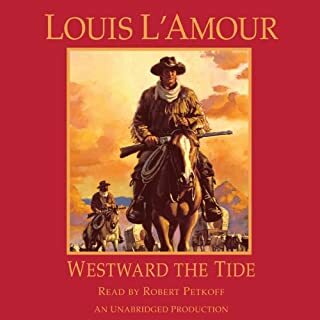 This is by far my favorite western. A story of a young boy, through hard times, becomes a man. A wise man of honor & justice. My entire family enjoyed the story from beginning to end. The story even held the attention if my 9 yr old son. You will cry, you will laugh. You will feel the emotions of the characters. Well written, well read... A+ all around! If you like clean stories that keep you wanting more then read this!!! 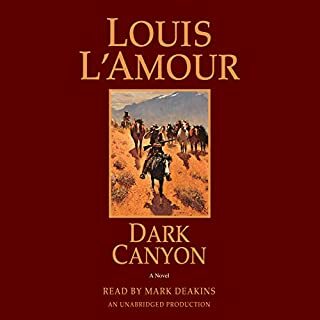 Comstock Lode has wonderful character development and a complex plot. It's about the struggle of a man with his past, who works hard and does well because of his persistence and good morals. It's a classic, one that will never go out of style, in my opinion. What did you love best about Comstock Lode? The characters, the plot, the conflicts, the pacing. The setting. I've travelled back and forth on the highway (present day) from Sacramento to Lake Tahoe, and I've been to Virginia City. 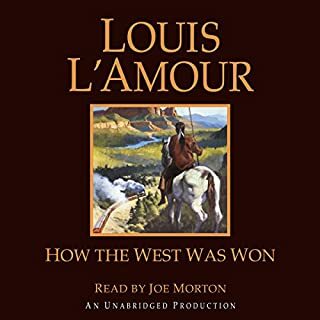 Even so, I learned so much about those parts of California from the story, and about mining and the hard life. What does Erik Singer bring to the story that you wouldn’t experience if you just read the book? The dialects are quite good. I was totally immersed in this story. If you could take any character from Comstock Lode out to dinner, who would it be and why? Val, because he's so unpretentious and honest. The only thing that bothered me was the pronunciation of "Placerville" and all the variations of "placer." The narrator pronounced "placer" to rhyme with "ace" as in "ace of spades," for example. "Placer" should be pronounced "plasser" and should rhyme with glass not face. Placerville was named after the gold panning technique used to mine surface gold -- hence placer gold. 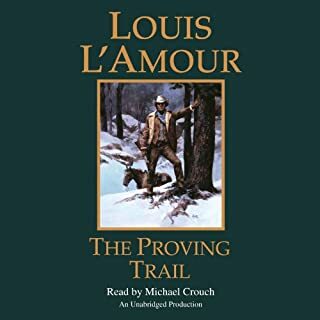 I got this book after reading the glowing reveiws written on about it, as well as L'Amour's other works. 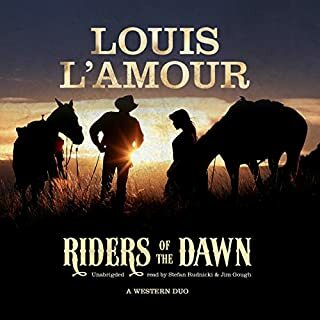 I love westerns and L'Amour was high on my list so I felt it was time to give it a shot. 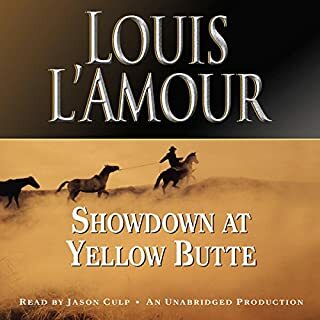 The book is filled with charming characters, endearing scenes and some classic western action. However, the fact is the book is just not that well written. The dialogue is extremely stilted and unatural. Things that should be be described in narration are instead awkwardly spoken by the characters. For example, when a charater's wife asks if her husband has shot a gun, the husband replies by saying "I have not. In England only the great land owners hunt." 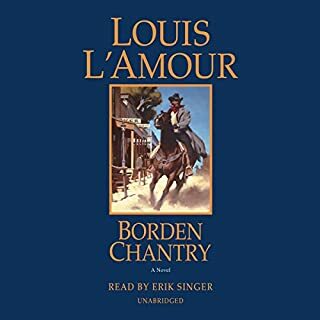 It is an instance where L"Amour is trying to explain to the reader why the character hasn't shot a gun. But the husband and wife are both from England, so wouldn't this information be common knowledge to someone who grew up there? It's dialogue that no real human would ever speak. The story also jumps around from place to place often before you really get solid feel for where the characers are. There is often little description of places beyond the most superficial detail. I do not want to blast this book. 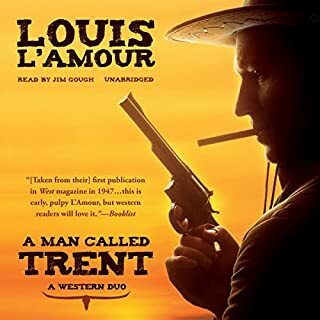 L'Amour is a legend in the western genre and I respect what he has done. It's also clear from other reviews that he is much loved by many people. I want to make clear that there is a lot of good in this book and I can see why so many people love it. 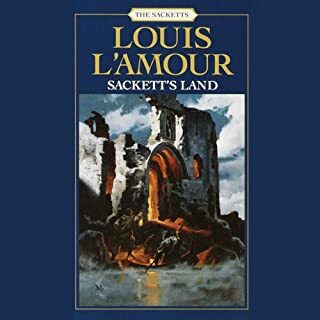 But I myself just can't get past the technically poor writing, especially when there are incredibly well written works in the western genre by authors like McMurty, McCarthy, and Guthrie. 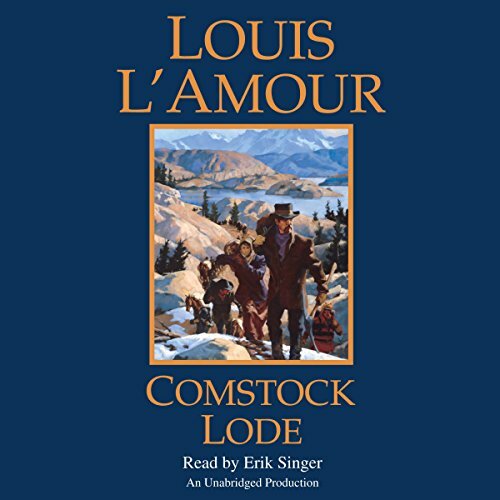 What other book might you compare Comstock Lode to and why? 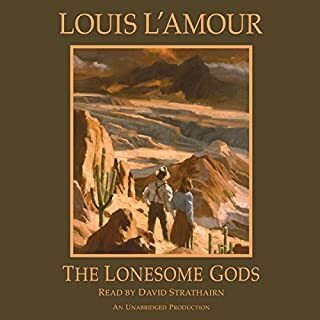 If you appreciate character development and getting lost in a book, I highly recommend Louis L'Amour's Lonesome Gods. 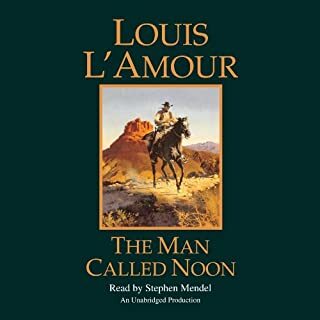 It's another marathon of a book that you won't want to end. 1) Beginning of the novel when Grita and Val are kids and he is holding her close to keep her quiet while they are hiding and their mother's are being attacked. -- It literally set the stage for the rest of the novel. 2) Of course when Grita and Val get trapped in the mine and the whole town comes to help free them. Awesome " As Expected for Louis"
Makes you feel as iy are there! Overall I enjoyed this book, but the first half was somewhat slow. There were several times I found myself thinking, “Well, that was convenient” since I found some circumstances too coincidental to be believable. That said, there were some fun characters and it was worth reading. I love that the author keeps his books clean from vulgarity. 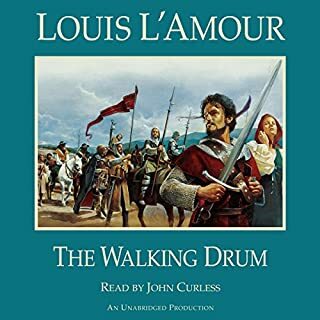 I thought the narrator did a great job on this book which really helped things. 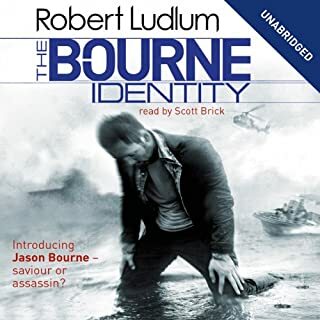 this was the best first book i couldve got on audible. an epic for the ages. 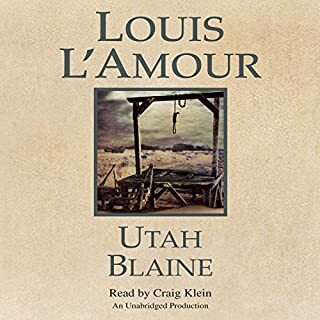 Of all the L'Amour books I've read it listened to, this is one of my all time favorites. 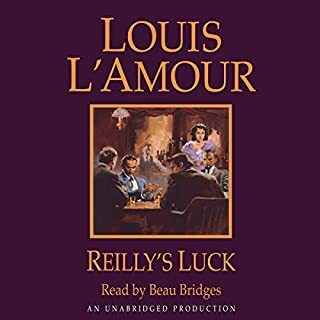 As I continue through the L'Amour books we'll see if it holds. Great story telling. Brought back memories of reading it for the first time. Many thanks.